Who is Really Qualified to Help You Choose a Wedding Dress? There’s a reason bridal boutiques recommend only one or two family members coming along for wedding dress shopping. The bride should be able to get a few opinions on the best choice but also have shopping buddies who will do more than move a few hangers. How many people should come with the bride to find a dress? The number may vary, but remember that saying about too many cooks in the kitchen? The bride should be open to hearing pros and cons of dresses but also have someone there who is willing to help mentally and physically. A healthy amount of weight to lose in one week is two pounds, according to the Centers for Disease Control and Prevention. Keep that in mind when trying on a dress that won’t be ready for four to five months. That’s a maximum time frame to lose up to 40 pounds. However, four to five months is also plenty of time to pack on pounds, too. Bringing family members along to see the ideal dress, which may require a bit of weight loss to comfortably wear, could help urge them to team up with the bride to eat healthier. Bridesmaids dresses get a bad reputation. Of course the bride wants to be the main attraction, but that doesn’t mean all brides are OK with their bridesmaids not being fashionistas, too. Assuming one of the family members to go wedding dress shopping with the bride is a member of the bridal party, team up. Use ideas from the wedding dress to complement the bridesmaids’ dresses (ex. jewels, layering, colors). Keep the weather in mind, too. 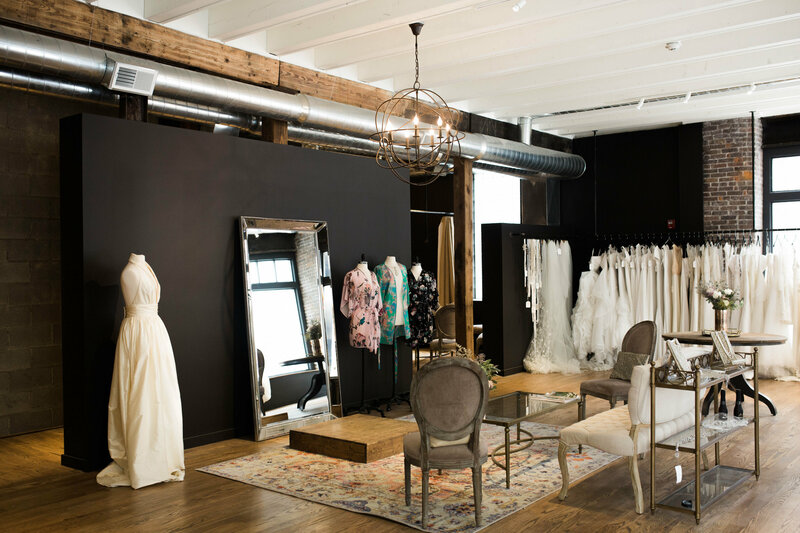 For example, you don’t want to be braving bridal stores in Columbus in the middle of a winter blizzard. No matter the opinions of family members or friends, the only person’s body who is going to slip into the wedding dress is the bride. She should find something she’s comfortable with in color, size, shape and length, but be open to trusted opinions.